The Lao Tzu or Tao Te Ching, the Chuang Tzu and the Lieh Tzu (Laozi or Daodejing, Zhuangzi and Liezi respectively in the Pinyin romanization that is by now the international standard for the translitteration of Chinese characters) are the three fundamental texts of taoism. Modern scholars date the composition of the first two at around the fourth century BCE, while the date of the Lieh Tzu is much more uncertain, oscillating between 200 BCE and 300 CE. All three have had a profound influence on Chinese culture and have won the heart of generations of Western readers, from Schopenhauer to C.G. Jung, from Heiddegger to Thomas Merton. Each one of them is, in its own idiosyncratic style, a literary masterpiece, beside a mystical or philosophical text. The poetic conciseness of the aphorisms of the Tao Te Ching contrasts with the exuberant narrative verve of the Chuang Tzu and the Lieh Tzu. 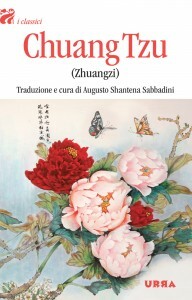 The most striking characteristic of the Chuang Tzu, beside the depth and modernity (or rather postmodernity) of some philosophical passages, is the predilection of its author (or authors, since the book is almost certainly a collage of different contributions) for humor, irony, paradox and provocation. Its anecdotes feature historical and imaginary characters, animals and fantastic creatures, kings and hermits, philosophers and criminals. The brilliant insight emerges where we would least expect it: a bandit lectures Confucius about philosophy, a turtle teaches cosmology to a frog, Chuang Tzu (who often appears as a character in his own book) dreams he is a butterfly and the dream raises for him a fundamental question on the nature of reality. As in the Tao Te Ching and to a lesser extent in the Lieh Tzu, the language of the Chuang Tzu is often cryptic and open to different interpretations. My translation and commentary aim at providing the reader with an effective tool to access the rich nuances of meaning and resonances of the Chinese original. Since, given the size of the work, it would have been impractical to offer a word by word analysis of the text (as I have done for the Tao Te Ching), I have adopted as a constant reference four classic translations of the Chuang Tzu, three English and a French one. In the most complex and enigmatic passages of the book, the footnotes compare the translation proposed in the body of the text with one or more alternative interpretations, offering thus a much more thorough understanding of the meanings of the Chinese text. The book includes a detailed introduction and historical-geographical appendices situating in time and space the characters and places mentioned in the text.